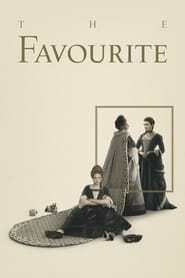 The Favourite is a 2018 Drama History Comedy movie directed by . It stars Olivia Colman, Emma Stone, Rachel Weisz, among others. The Favourite is currently rated 7.7 stars on the ReelBugs scale. I was expecting "Barry Lyndon", but I got "Marie Antoinette" meets "A Clockwork Orange". I'm stoked. Only Lanthimos can pull this off. "Academy Award Winner Olivia Colman" sounds good to me. "I should have you stripped and whipped." Goodness, does Lanthimos ever take a break? This is his third movie in three years, which is CRAZY if you ask me! Not that there’s anything wrong with more Yorgos Lanthimos movies in the world, but he’s almost becoming the Rihanna of indie directors with his insane output! I have to wonder if he’s getting exhausted from his release schedule being this tight. I see Emma Stone or Rachel Weisz, I clicked. the influence of kubrick’s barry lyndon shines through...cannot wait! This film will get so many OSCAR nods for sure; Costumes, Production Design, Make-Up, Writing and Acting. Love Lanthimos, so fingers-crossed for Directing, also. Cheers! Yorgos lanthimos is like the bizarre mix of Stanley kubrick and Spike Jonze. I smell another Oscar... for Best Picture. This is what the new Mary Queen of Scots film wanted to be. Τι θα μας δείξει πάλι ο τρελός!!Ανυπομονώ! OK this is weird...... but in a good way. This is some stunning cinematography right there. I loves me some Olivia Coleman!!!! Numberwang!!! Look at Lanthimos letting his characters portray some other emotion besides monotone! Emma fans, where you at?? FYI the boy that Emma slapped is Taylor Swifts boyfriend Joe Alwyn.